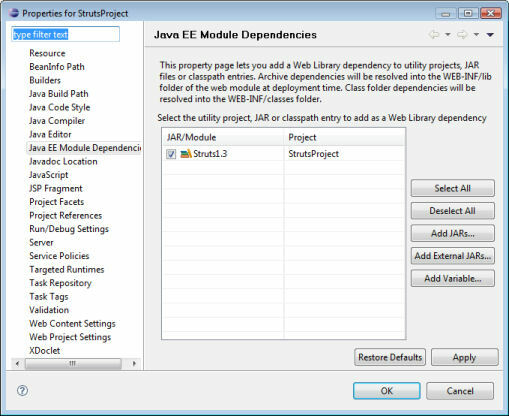 In the previous section, the software required to develop a Struts web application was configured. In this section a very basic web project is created to ensure that everything is present and correct. The struts project properties is opened up. 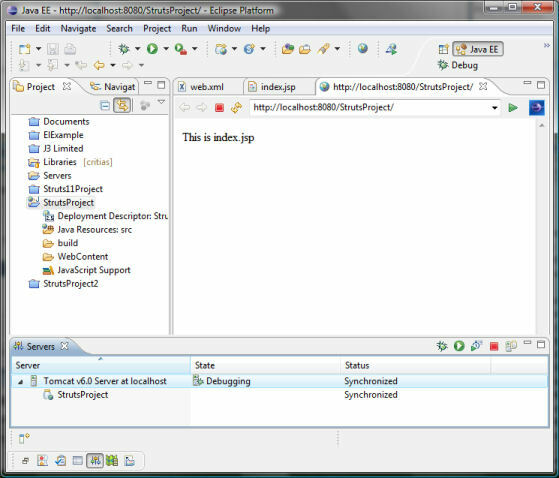 web.xml, the JEE way of defining a web application. 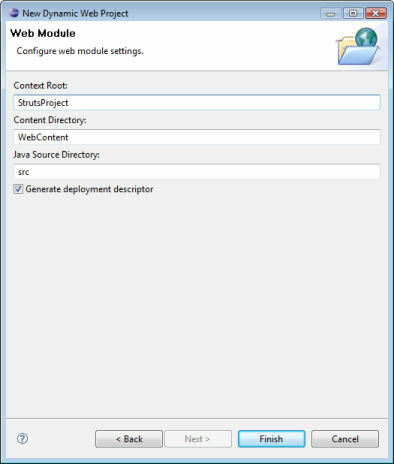 struts-config.xml, the file that contains the relevant entries for the struts web application. 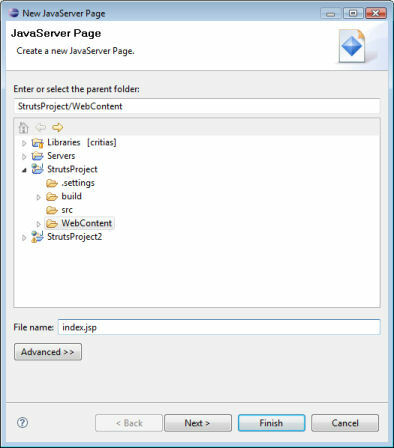 jsp pages to generate the web pages (view). 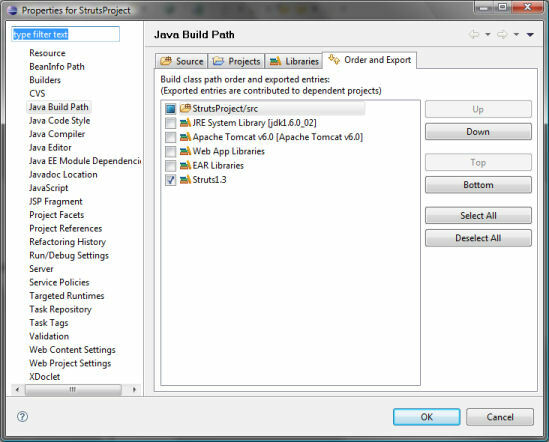 java classes to provide the functionality (model and controller classes). jar library files, for example data access layer components. property files, for the text that is displayed. 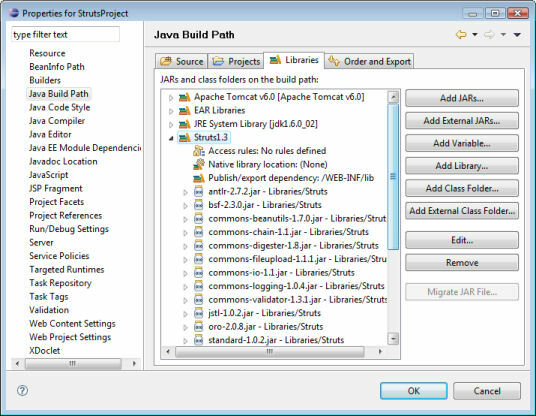 type library descriptor files (Tld's), these files hold the syntax for custom jsp tag libraries. The struts action servlet is where all the page requests should go. It is told where to look for the struts-config.xml file, and the debug is set to level 3. In the mapping, we inform the web container that any page request of the form *.do should be sent to the struts action servlet. Finally, the default file is called index.jsp. 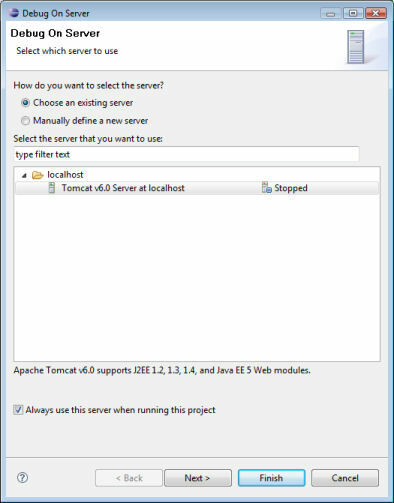 The checkbox ("Always use this server when running this project") is clicked and finish is clicked. 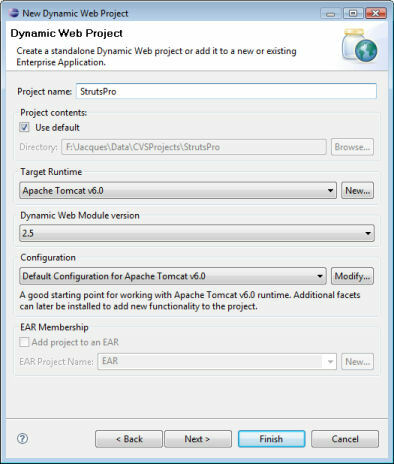 Running the project at this point is a good idea: it confirms that everything is configured correctly to run a Struts web application. 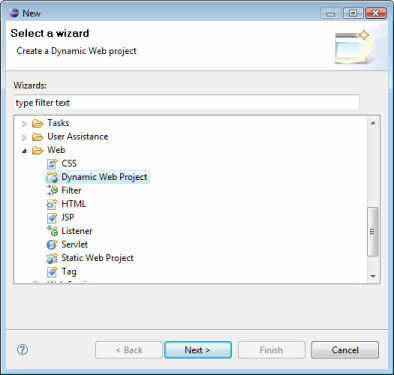 In the next section, a dynamic web page is developed using Struts. Copyright © 2006 J3 Ltd Permission is granted to reproduce material on this page, on the condition that a reference to "WWW.J3Ltd.com" is given as the source of the material.